Yes, you hear me right! Penang Property prices recorded a huge jump last year according to a report by The Star. I would say that it is now almost impossible for average workers to purchase a landed property in Penang Island. What is happening now in Penang is also happening in many cities across Asia- namely in Singapore, Hong Kong, Beijing and Shanghai in China as well as in major cities in Taiwan such as Kaoshiung and Taipei. So will the trend continues?? Due to the record low interest rate in many Western countires, we have been seeing outflux of hot money from these countires to Asian markets since the subprime crisis in US back in 2008. 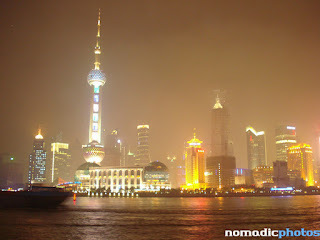 The issue is whether this buying trend in major Asian cities by foreigners will continues in 2012?? I am not sure! I am not sure should the support by overseas buyers ceases in future, is it possible our property market in particular the Penang property market will continue to have the upward trend in 2012? But I still strongly believe that without the support from local buyers, this bubbling prices of Penang property will soon come to a halt once the economies in the West recover! There won't be any susbtainibility of high Penang property prices if average Malaysians and in particular Penangites are getting very low wages as compared to their counterparts from Singapore, Taiwan or even China! I am a member of some financial communities. I came across your website: young-investors.blogspot.com and found it very informative and helpful. I would like to send you an article as a guest post (relevant to your site). I will be back to read other. Excellent and helpful contents for the topic of discussion. I find this site so informative. I’m impressed with the special and informative contents that you just offer in such short timing. Thanks and keep blogging! Penang Island or Seberang Perai?